Default Help Menu has 2 new links. 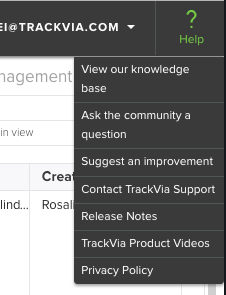 One to the "Release Notes" section of the TrackVia Knowledge base and One to the Product Videos page. June 27, 2017: TrackVia Introduces Flows!